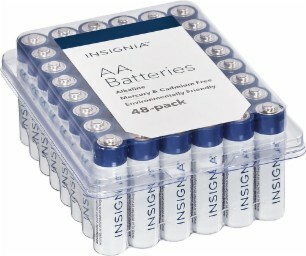 Today, Best Buy has a Insignia AA or AAA 48 pack Battery Sale, $7.99 - Free Shipping $35 or free in store pickup. Expires Soon -Highly Rated 4.7 out of 5 stars. Not on sale: Insignia AAA 48 pack $7.99, free in store pickup. Supply reliable power to a wide variety of household electronics.